Someone left this link on my blog. It mentions my column in the BusinessMirror on former UK Prime Minister Tony Blair. I'm eternally grateful to Mr. White for the kind mention. You just made my day. 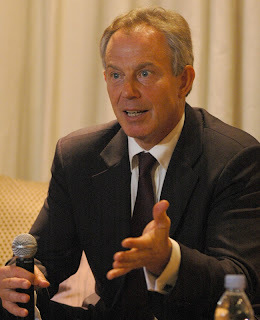 Also to the blog Tony Blair for publishing my column and the pooled media interview w/ Mr. Blair. Wow! Thanks Caela for sending me the link.